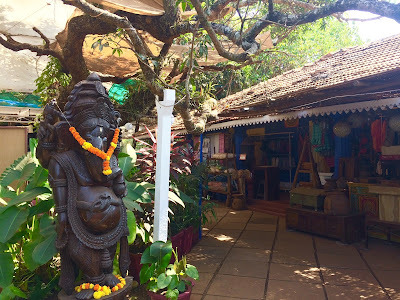 6 Reasons to Attend the Serendipity Arts Festival in Goa! While everyone loves fests of some kind or the other, art fests always occupy a special category. While to some, art festivals bring to mind some kind of music and dance extravaganzas, to some, they are more to do with an intellectual mindset. Art festivals come with the perception that they aren't meant for the general public. Serendipity Arts festival attempts to break free from these notions by setting up art installations and performances, where there is something for everyone. As the beautiful city of Panjim in Goa gets ready for its second edition of the Serendipity Arts Festival from 15th December, here are our five reasons why this festival is worth attending, not just for serious connoisseurs of art but everyone - the common man! 1. Visual Art: One of the first art forms that come to mind while speaking of visual arts are painting and photography. SAF attempts to introduce you to the world of visual arts through a host of photography exhibitions and art installations in Panjim, that are brought to you by created by passionate artists who believe in telling their stories through art. Just stroll into any of the designated venues and gaze at the beautiful photographs, paintings and other art installations and get immersed in their stories. 2. The Indian Classical Arts: If you love Indian classical arts, SAF is a great way to savour it as some of the best Indian dancers, musicians and theatre artistes bring to you the their works of music, dance and theatre. while the musical performances are curated by Shubha Mudgal and Ranjeet Barot, the dance projects are curated by Sanjeev Bhargava and Tanushree Shankar. Then there is the theatre section curated by Lillete Dubey and Anuradha Kapoor. SAF doesn't stop here. There are a host of interactive workshops for the general public of all ages. What better place to learn about these arts? So go register! 3. Culinary Journey: Though often overlooked as an art form, cooking is an art that can invoke all the five senses! Take a trip through this wonderful art through a series of workshops on food, from chocolates and wine tasting to authentic local recipies treasured for centuries and their stories, curated by the acclaimed chef Manu Chandra and the well known food critic Odette Mascarenhas. Its time we looked at cooking and food from an artistic perspective and these workshops help us do just that. 4. Immerse in Some desi pop: Like I said, SAF has something for everyone in its kitty and you would be terribly mistaken to think that this is some serious fest with no fun quotient. Get ready to shake and sway to the rhythms of desi pop as the legendary 'Parikrama' band and Coke Studio come to Goa to enthral you with their great music. 5. Get some Goa Gyaan: While SAF brings to you art projects inspired from various themes, Goa remains to be an integral part of several projects. Through a series of art exhibitions and music and food workshops, its a great way to learn about the rich culture and history of the city that is sure to enlighten you. This is a great way of learning about a place's cultural heritage, especially for kids and youngsters. 6. Art for everyone: While all the art projects of SAF are accesible to the general public, most of them free at cost, it is the unique way of their design that makes it easy for everyone to interact and engage with art. You don't even have to go inside fancy art galleries or sit in dark auditoriums to participate in this fest. Just walk down the promenade along the Mandovi river and you would have engaged in various art forms in less than half an hour! From art installations along the promenade to music performances at public spaces like the childrens park and street plays, SAF has gone all out to bring the concept of art to everyone. and by the way, SAF is going to have sunset cruises along the Mandovi with classical musical performances on board on certain days of the fest! Well, it definitely cant get better than this! Well, this post was just an introduction to this awesome festival and these pointers are just a few of our favorite reasons to go see the festival. There is more to it than this so do come along and witness this beautiful celebration of art in the charming land of Goa! Note: For the daily event schedule, please check out the fest website. Some of the events need separate registration that can be done online through their site.